Climbing and burgers come hand in hand after a hard(ish) week of work and this week is no different. 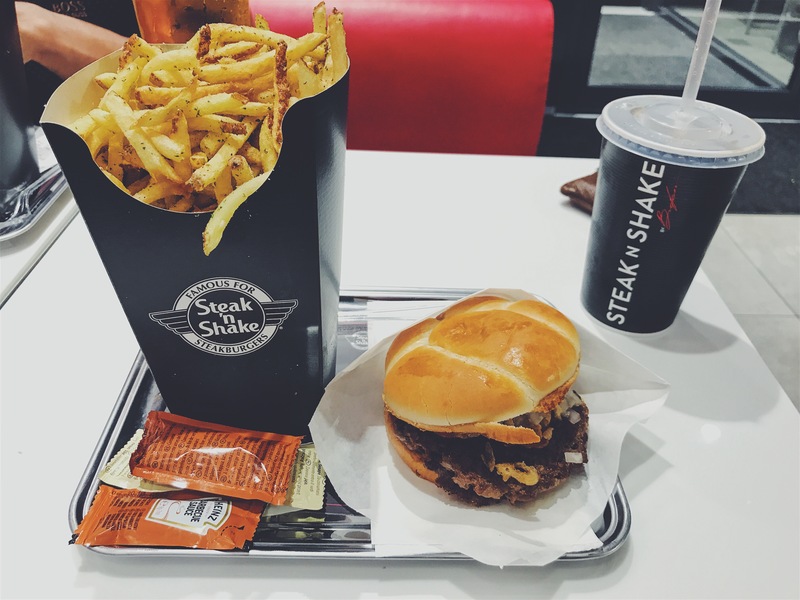 Like any other Friday evening Steak ‘N Shake is the bearer of our rich and flavoursome dinner. Steak ‘N Shake feels like an anomaly to myself, there are a handful of different attributes that make it unique, and that’s why my friends and I like it so much. 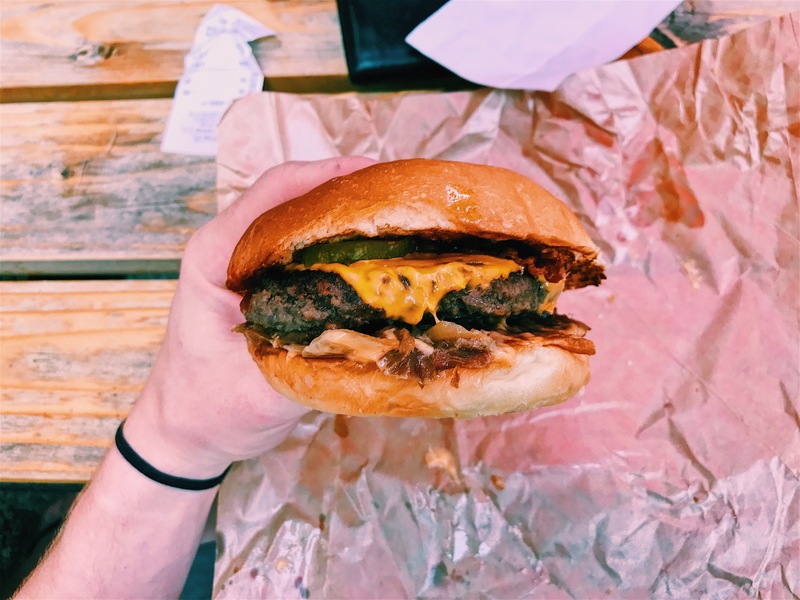 On this return it’s the Western BBQ N’ Bacon burger that’s caught my Burger eye and what a great choice it turned out to be. 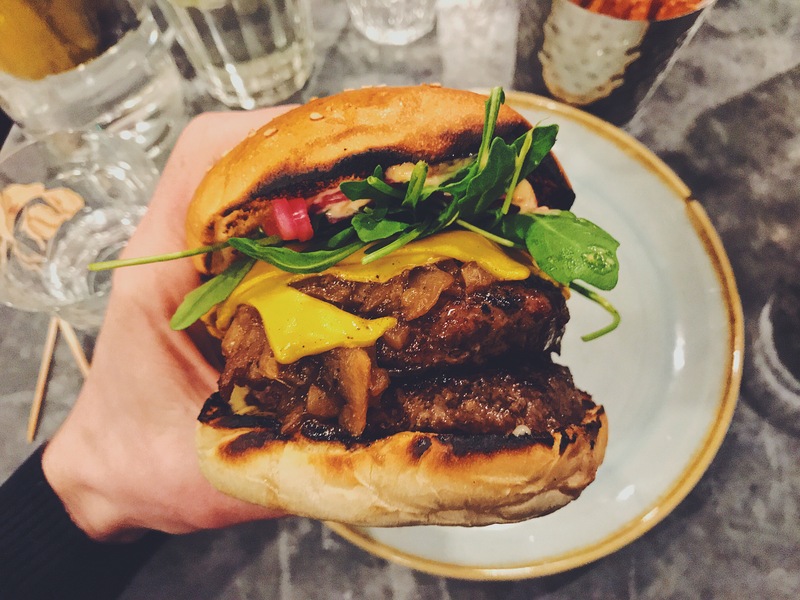 With four of my very favourite ingredients on the burger, my expectations were high and it didn’t disappoint. 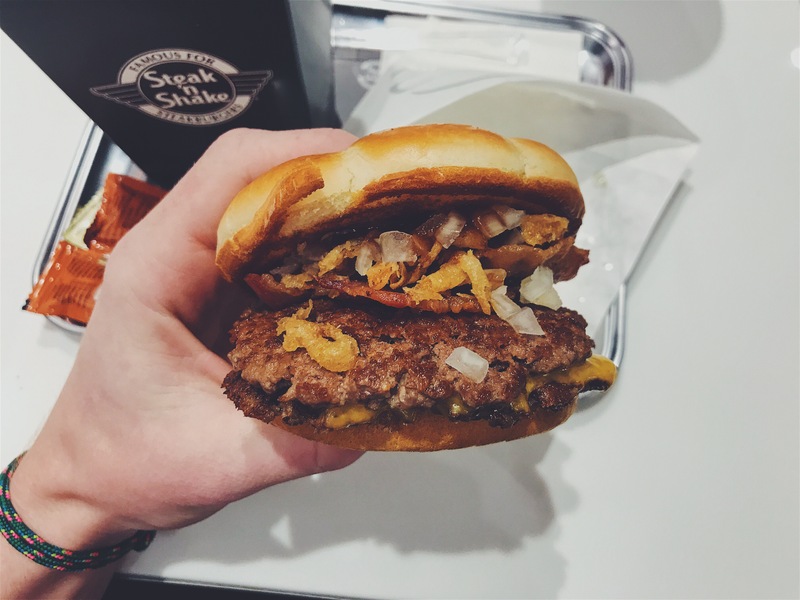 As always the steak from Steak ‘N Shake was cooked to a level where it falls apart in your mouth, making it an effortless pleasure and with the burger being very easy to handle, there was no work involved. To finish off the package, the crunch of the diced and crispy onions were softened by the sweet ‘n smokey BBQ sauce, which was smothered on all corners of the steak patty. 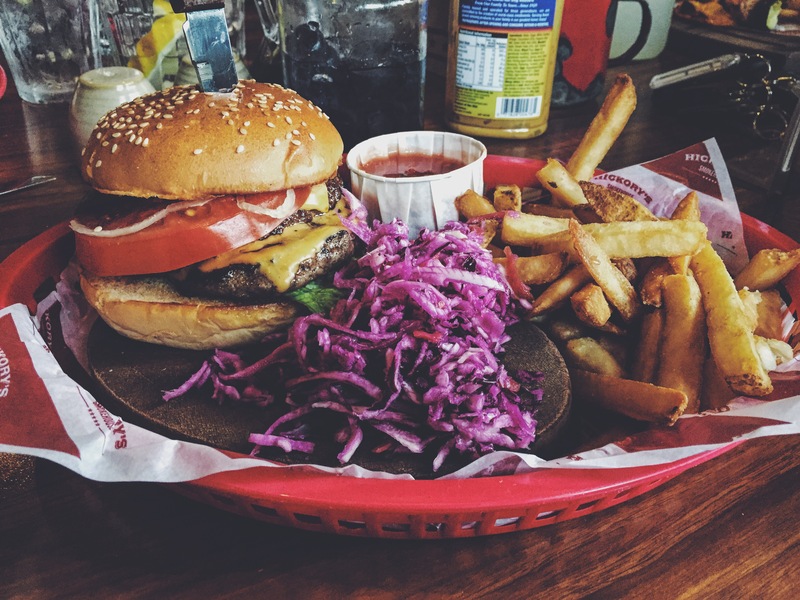 As a collective with the food, the service and the portion size considered, this burger receives a respectable 8.1 out of 10. Well done Steak ‘N Shake, I’ll see you next time. 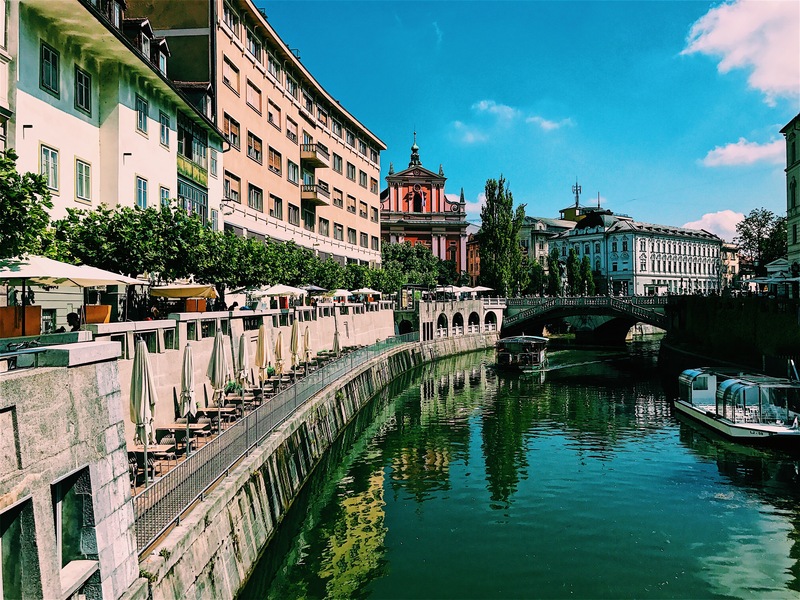 – somewhere in Budapest, Hungary. 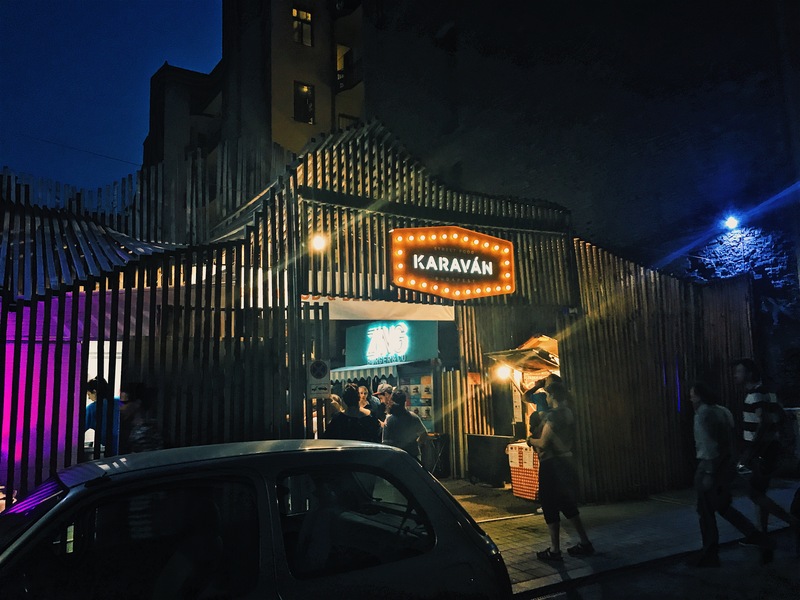 After being in Budapest for a long 5 hours, an introductory burger felt almost mandatory, which brought us to an area of street food named Karaván. There was a lot of abstract and unorthodox foods within the confines of Karaván, which gave you a good sense of what type of foods the Hungarians like to dine on. 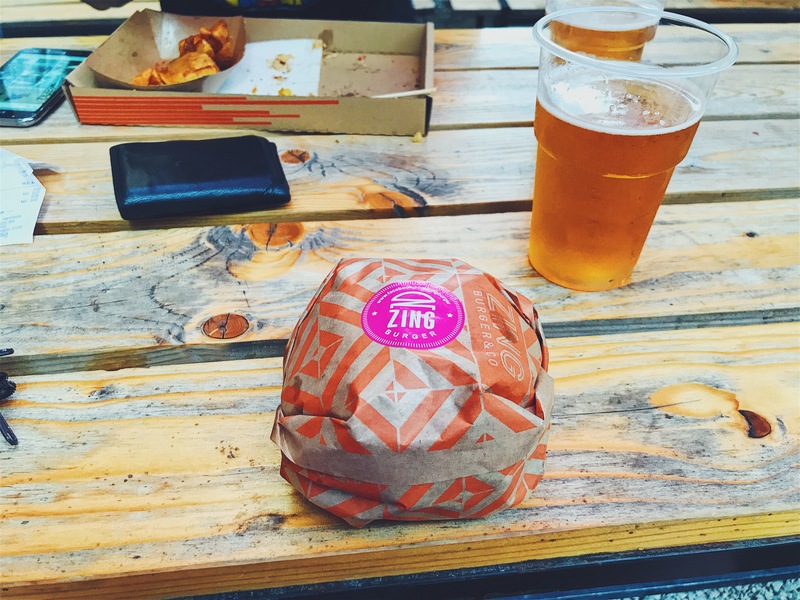 But tonight I only have eyes on the promising looking burgers from Zing Burger & Co.
Quite simply all I’m going to do here is sing this burgers praises, all the ingredients were extremely flavoursome with beautiful textures. The patty was cooked well done, which sat well with both sauces making the burger pleasant from all areas and the bread was second to none, which we all know is important. 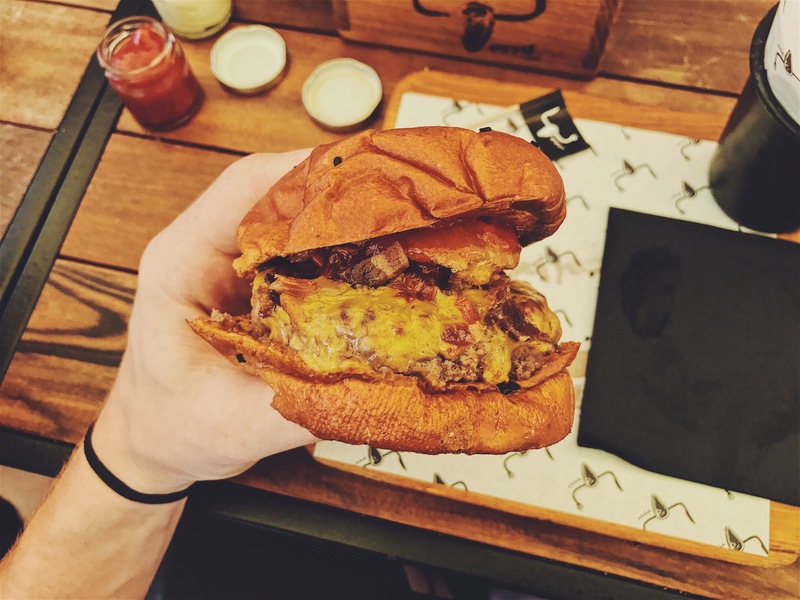 Apart from the wait time, which was around 15 – 20 minutes and considering the price 1390HUF (£3.90) this burger was a game changer in Budapest. Burger rating: 9.2 out of 10. I could write line after line about how Britain perceive Five Guys as a higher class fast food restaurant, with the idea they are experiencing a slice of America. But with all respect, it doesn’t fill expectations. 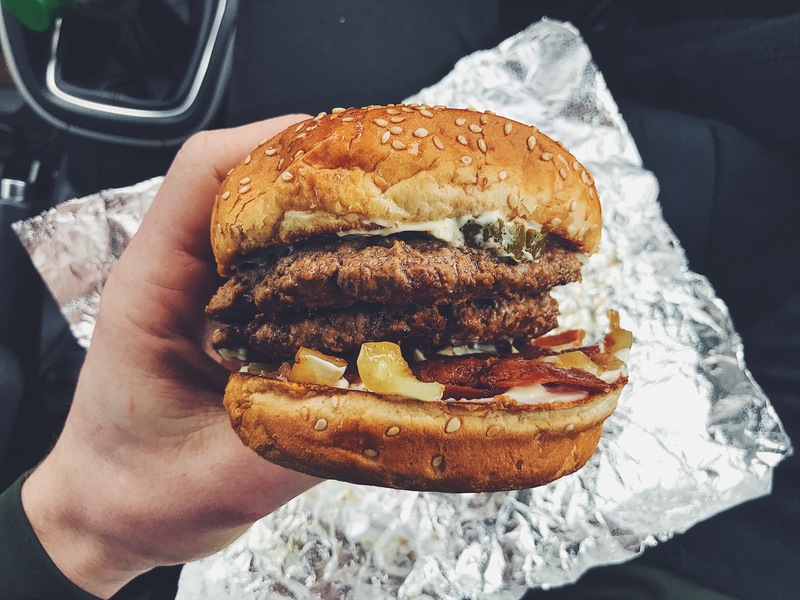 Five Guys hold a unique & creative experience where you can add as many selected ingredients to any burger you choose at no extra cost. This part of Five Guys can either be a success or a failure. Five Guys don’t help themselves from the offset with moist and greasy bread. 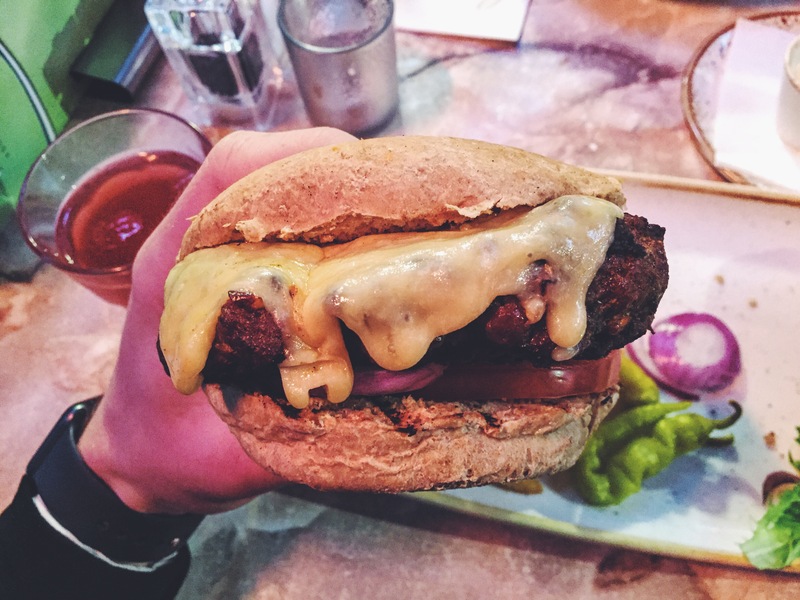 The bread is an imperative part of a burger, its the backbone, its the glue that figuratively and literally holds the burger together. So i suggest getting it perfected. Considering everything, the bacon/beef/pickles and onions weren’t all that bad, it’s just hard to justify £11.50 for a burger and a drink and that’s without chips too. Quite simply overpriced. Burger rating: 4 out of 10. 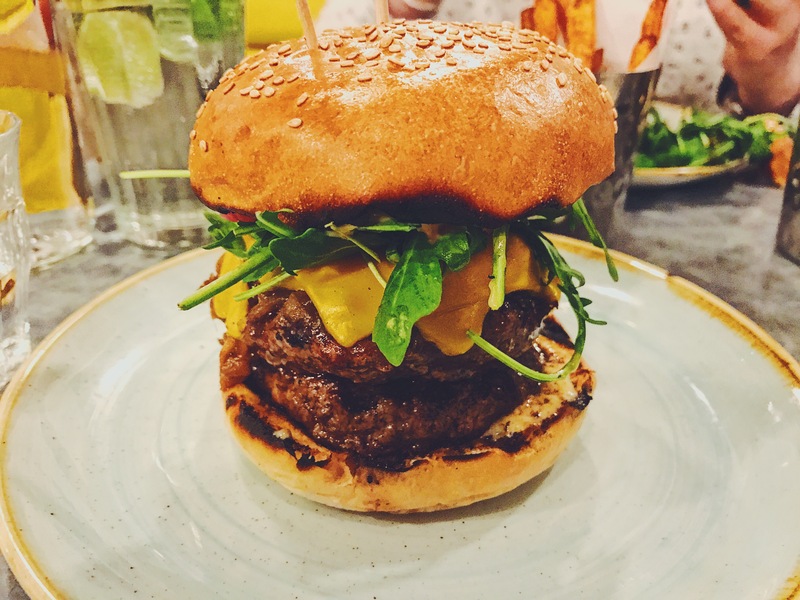 Spending a few days in York city as celebrations for my girlfriends birthday meant many opportunities to experience a proper Yorkshire burger. On our last night in York we found a quaint restaurant set away in the back streets with chairs spilling out onto the cobbles with many satisfied faces and aromas that you could smell from a distance. Seated, jug of an exotic cocktail on the table and good conversation meant the wait for the food was close to non-existent which is always exactly what you hope for. 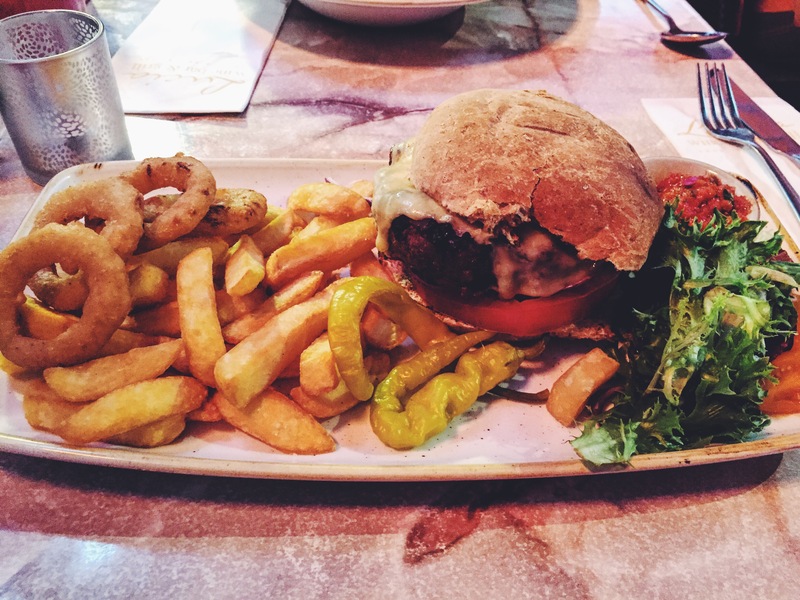 The most hideously ginormous piece of meat sandwiched between two inadequate pieces of bread was delivered along side chunky chips, onion rings and generic salad (nobody cares about that). The most interesting trait that this burger holds is the lamb. The lamb made it for me, it’s truly nothing like I’ve tasted before.. Giving you a similar taste to a kebab which was very strange. Huge, but still succulent meant the meat was easy to enjoy but was too much to handle aswell as the counterparts. The burger felt like it was missing something, maybe a tasty sauce? Just didn’t quite blow me away. Burger rating; 5 out of 10. My 21st Birthday. A special yet terrifying time where nothing has changed yet everything is different and one thing staying concrete is my love of burgers. My first burger as a 21 year old was the hickory’s burger, a name that’s not inventive in any sense but that doesn’t really matter in this case. 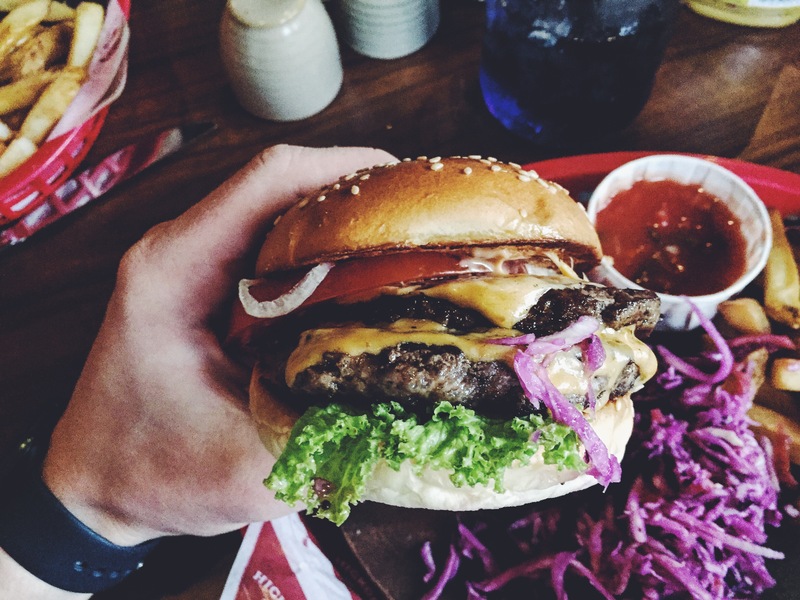 The burgers fillings were; seasoned prime beef patties grilled medium-well with lettuce, tomato, onions, pickles, house sauce and American cheese… Very American? 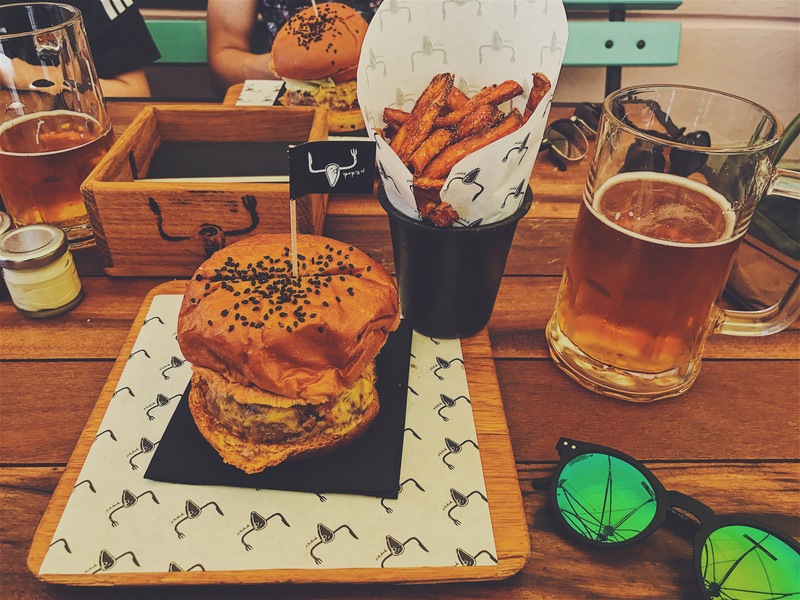 The burger was stacked well, making it very pleasing to the eye but meaning you couldn’t take a bite from top to bottom. I guess this is the consequence of your eyes being to big for your mouth. Weirdly this burger tasted different, I’m not sure what it was but then I’m not saying this was a negative thing. Overall it gave you what you wanted, thick well cooked beef, generic salad (lettuce, tomato) and a tasty cheese. 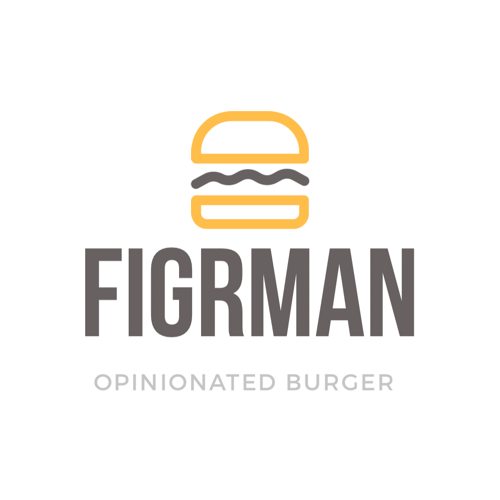 Overall I did enjoy this burger, but it’s nothing special. Burger rating: 4 out of 10.